Can’t use your tickets or can no longer attend the games? 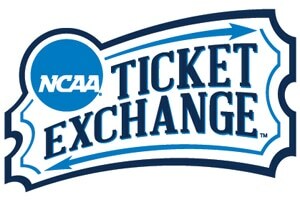 Sell your tickets through the official NCAA Ticket Exchange. The NCAA Ticket Exchange is the only official place to buy and sell tickets safely and securely. Fans can buy and sell tickets with other fans quickly and easily in a safe, secure and NCAA approved marketplace. Ticket holders who are unable to attend a game, or find their team eliminated prior to the championship, have a place to safely sell their tickets. Buyers can be assured that the tickets are authentic and guaranteed, even if a game is sold out. The NCAA reminds fans that purchasing tickets from secondary, unauthorized vendors may result in fraudulent purchases. Fans are encouraged to purchase tickets from NCAA member institutions and companies authorized by the NCAA to sell or resell championship tickets.